Wingate & Finchley Football Club were formed in 1991. They were formed by a merger of both Finchley FC and Wingate FC, who parted company with Leyton FC. Leyton FC regained Leyton-Wingate's place in the First Division of the Isthmian League while Wingate & Finchley took Finchley's place in the South Midlands League. 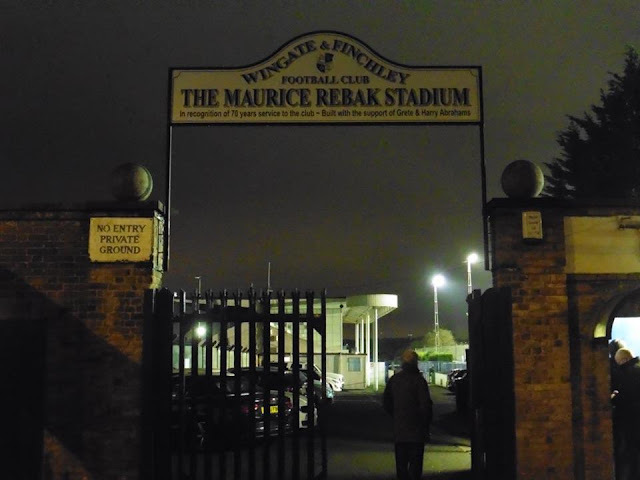 As Finchley FC, the club won several trophies in the Lower Leagues, including trophies such as The London Senior Cup (3 times) London League Challenge Cup, Middlesex Intermediate Cup and others. 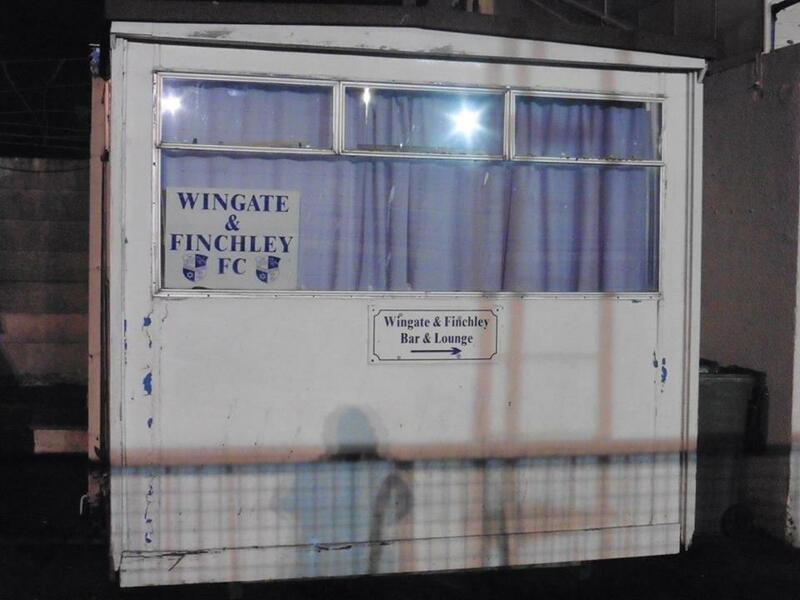 As Wingate FC the club only won 1 trophy, which was the Herts County League Division One title in 1985. 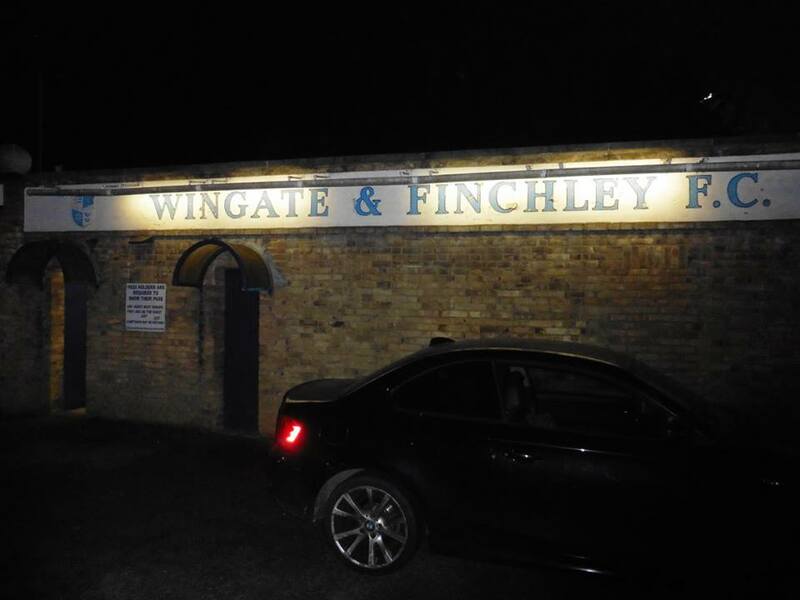 Wingate & Finchley are often known as a Jewish club, mainly because of Finchley's sizeable Jewish Community and a number of other factors. 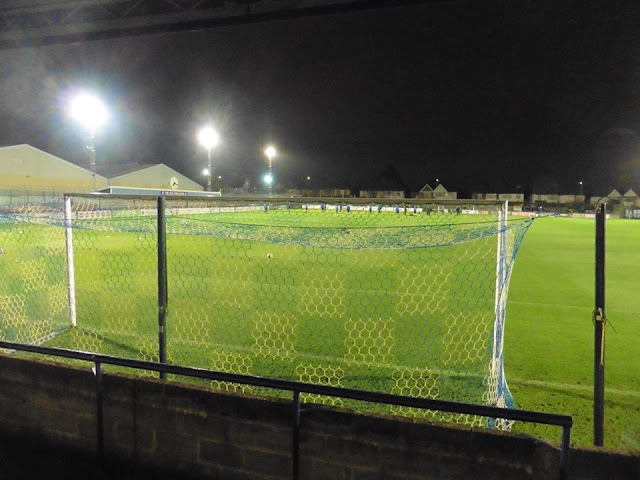 In 2011, the club won promotion to the Isthmian Premier Division after beating Brentwood Town 3-2 in extra time at The Harry Abrahams Stadium. 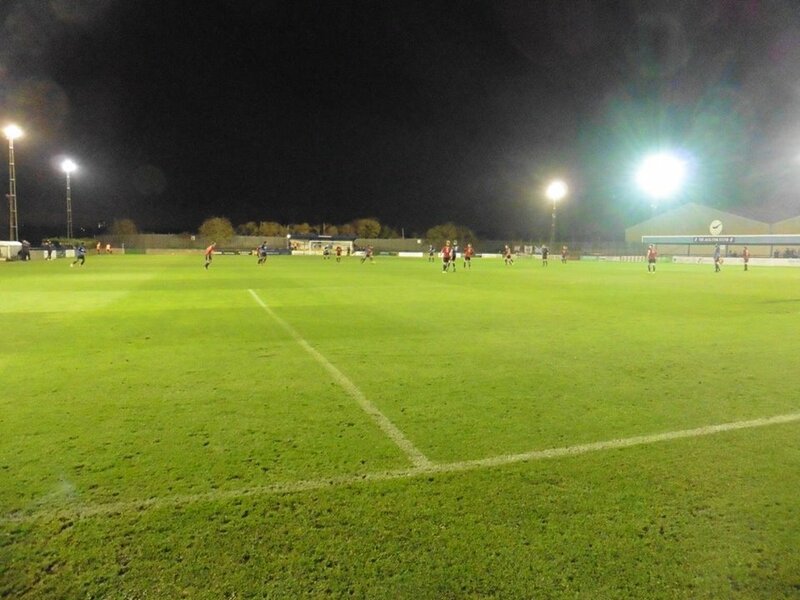 The winning goal came after 117 minutes, which included a red card in the game as well. Notable people that were either born in Finchley or live in Finchley are singer Emma Bunton, also singer George Michael, actor Peter Cleall, and also former Prime Minster Margaret Thatcher that sadly passed away in 2013, was Conservative MP for Finchley from 1959 to 1992. My original plan to start off with was Dorking Wanderers vs Tonbridge. But as that game got postponed due to Dorking's involvement in the Surrey Cup, and with that game now moved to December, I had to look at other ideas. 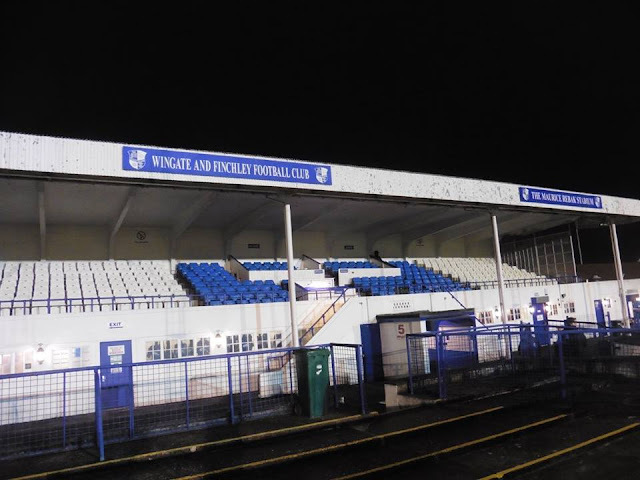 Another idea was another visit to my local side Tunbridge Wells as they were at home to Erith Town, but I decided to go and visit Wingate & Finchley. After leaving home shortly after 5pm, I arrived into Waterloo just before 6, grabbed a bite to eat and then took the Underground on the Northern Line to West Finchley tube station, the closest to the ground. It took about 20 minutes to walk, and about half an hour journey time. I arrived to the ground about 7.10pm. 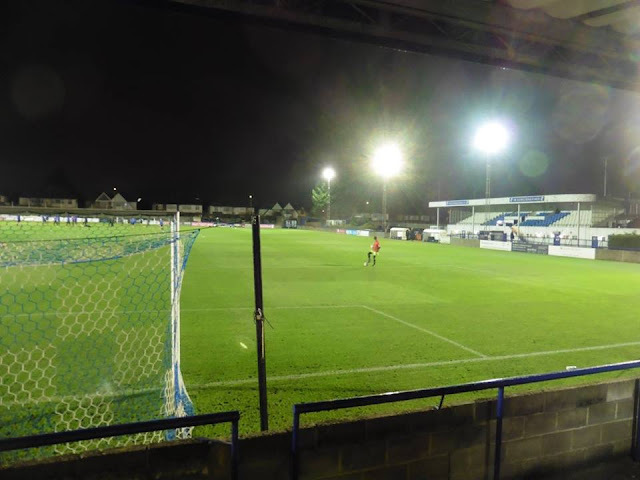 £12 entry which did surprise me in some ways as every Isthmian ground I have done so far has been £10, but I didn't mind too much. 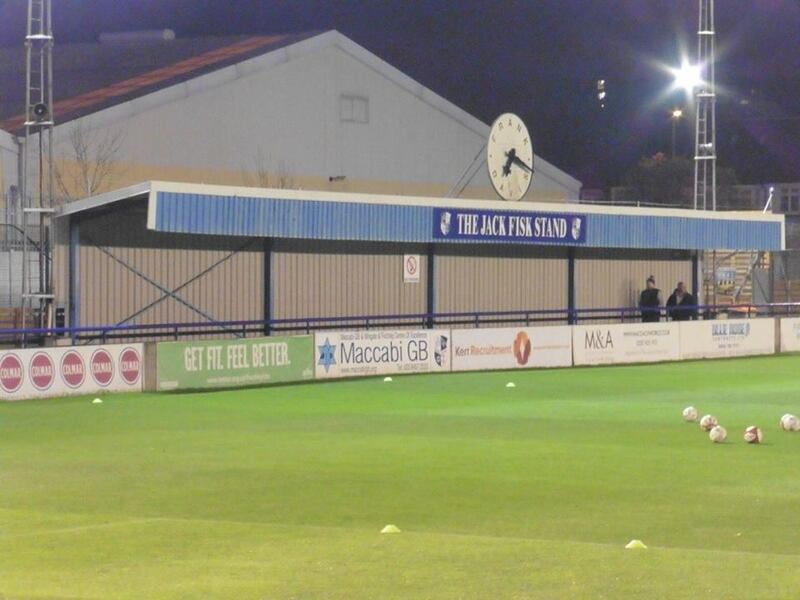 A bit surprised not to see a little club shop or anyone selling programmes as well. 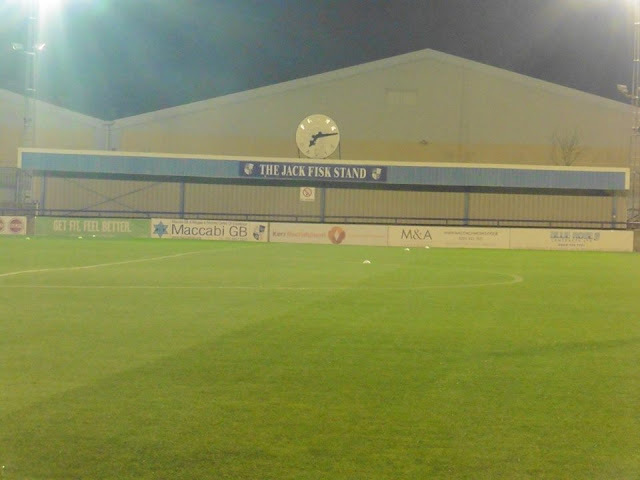 I went round the ground taking pictures and then took my place behind the goal for the 1st half. I thought the ground was ok, not the best I had visited in Non-League. 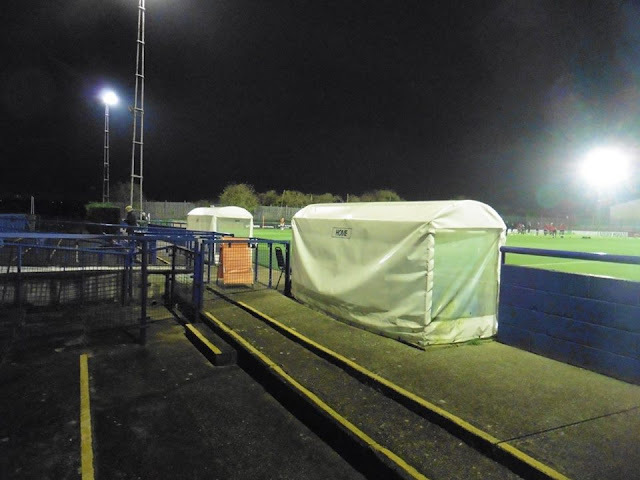 The stand on the side of the pitch which was all seater was a nice stand, just a shame it's a bit far away from the pitch, otherwise you could have got a decent enough view had the stand be a bit closer to the pitch. 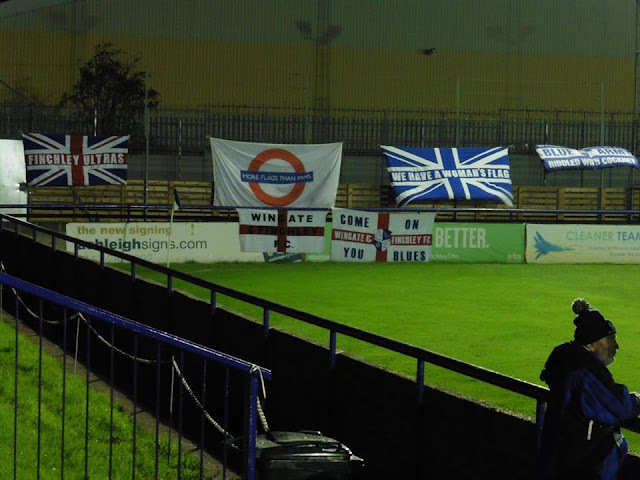 In the end I stood behind the goal with the Wingate fans in the 1st half and 2nd half mainly on the side. Another annoying thing was about 12 year old kids with a drum, no disrespect to them but they couldn't sing for their life and got a tad annoying. Glad I didn't stand near them in the 2nd half. 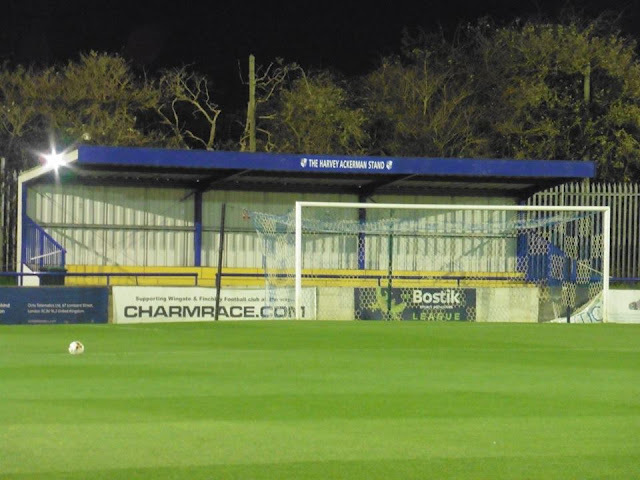 I thought the game was a good game to watch, I was quite impressed with Wingate's number 11, no idea on his name, but a good pacy winger, had a bit of trickery about him as well. Wingate won the game 2-1 in the 92nd minute, thought they thoroughly deserved it but just. 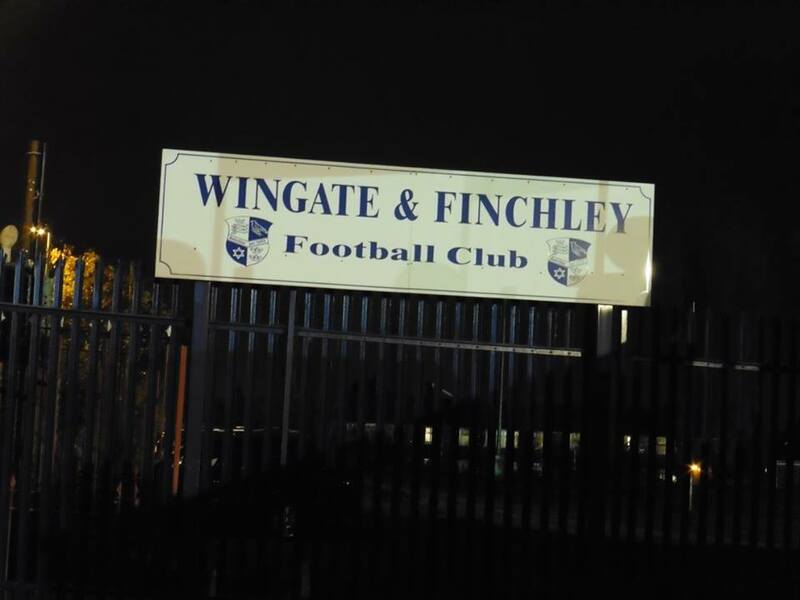 There wasn't a lot in it, but Wingate got the job done and got the 3 points. 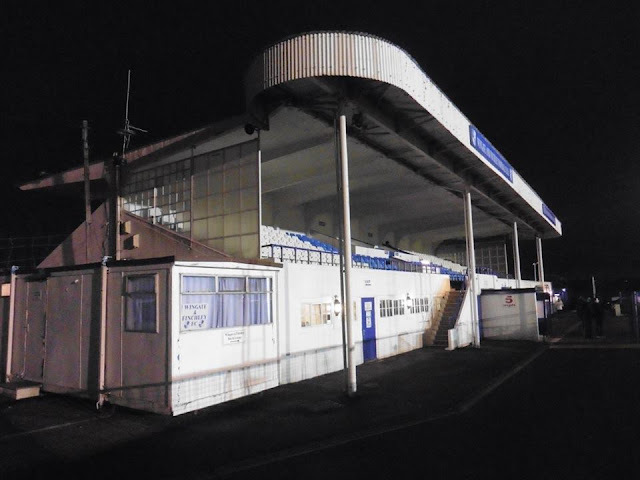 Wingate & Finchley vs Brightlingsea Regent was my 35th game of the season of 2017/18. Onto another visit to The Bescot Stadium with Gillingham on Saturday. I arrived home from Wingate shortly after half 11, was a good night overall. I was in a way gutted I didn't go to England vs Brazil at Wembley in the end, but after hearing it was another 0-0 at Wembley, I wasn't too fussed in the end.